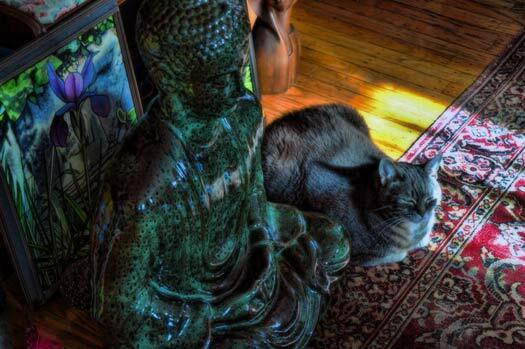 A single moment of stillness, purring quietly in the warming rays of the sun. I found Nora on the website about a yeat ago, and loved it. I have two cats and I really enjoy watching the videos. I go to the wevsite quite often. Thanks for putting them on the internet. 2) More importantly, the first line of a haiku is the one that has only 5 syllables, not the second. A simple fix would be to move “stillness” from the first line to the second, but it doesn’t seem as aesthetically pleasing, as “stillness” seems to belong with the other words in the first line. Thank you for the heads up, Alex. It’s hard to find a good copy writer who will work for cat treats.